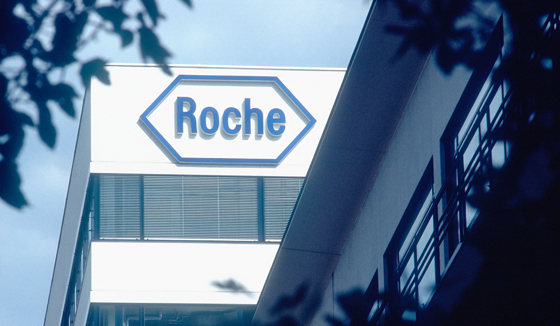 AbbVie and Roche’s BCL-2 inhibitor Venclexta/Venclyxto has already been making waves in second-line chronic lymphocytic leukaemia (CLL) but is now poised to move into front-line therapy, thanks to new phase 3 data. Venclexta (venetoclax) given in combination with Roche’s anti-CD20 drug Gazyva/Gazyvaro (obinutuzumab) has been shown to extend progression-free survival (PFS) compared to Gazyva plus chlorambucil chemotherapy – already approved for first-line use – according to top-line data from the CLL14 study. The two companies say they will present the data in full at a future medical conference and will also submit it to health authorities in the hope of getting approval for the pairing as a first-line CLL regimen that spares patients from having to undergo chemotherapy. Gazyva is a follow-up to Roche’s big-selling Rituxan/MabThera (rituximab) anti-CD20 drug – a mainstay of CLL therapy given alongside chemotherapy – and was approved alongside chlorambucil for first-line treatment of the blood cancer in 2013. Venclexta meanwhile has been approved for ‘all-comer’ CLL patients who have received at least one prior therapy in combination with Rituxan in the US – having previously used only in those with a specific mutation (17p deletion) – and just this week picked up the same indication in the EU. The CLL14 data are one part of a strategy to shift Venclexta into first-line use in CLL, expanding its market, and also to help consolidate Gazyva’s position in that setting. Despite outperforming Rituxan in head-to-head trials in CLL, sales of the new drug are still a long way off its predecessor, at CHF 281m versus CHF 5.1bn respectively in the first nine months of this year. "People with chronic lymphocytic leukaemia continue to need more treatment options because some patients are unable to tolerate chemotherapy regimens due to their underlying health," said Sandra Horning, Roche's chief medical officer. The two companies are also looking at other first-line combinations for their drugs, including combining each of them with AbbVie’s BTK inhibitor Imbruvica (ibrutinib), which was approved for newly-diagnosed patients in 2016. It was the first chemotherapy-free option for patients, having topped chlorambucil in trials, and is credited with re-shaping the CLL market. Preliminary data from the CAPTIVATE trial of Venclexta/Imbruvica and iLLUMINATE study of Gazyva/Imbruvica were reported at this year’s ASCO conference, and Roche and AbbVie also have preliminary data from a phase 2 study combining all three drugs showing a 50% complete remission rate and a manageable side-effect profile. Venclexta is jointly sold by AbbVie and Roche’s Genentech unit in the US and by AbbVie alone elsewhere.